Extreame Savings Item! 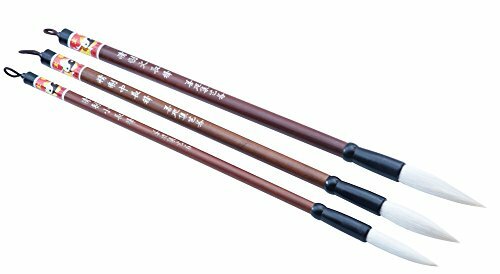 Save 41% on the Easyou Hu Brush Chinese Brush for Beginner Students Calligraphy and Drawing Pure Goat Hair jzcf L+M+S by Easyou at Designers Artists. MPN: Easyou. Hurry! Limited time offer. Offer valid only while supplies last. Good for beginner calligraphy practice(regular script and running script, postscript) and painting. Pure goat hair. Size:large+medium+small. Good for beginner calligraphy practice(regular script and running script, postscript) and painting.